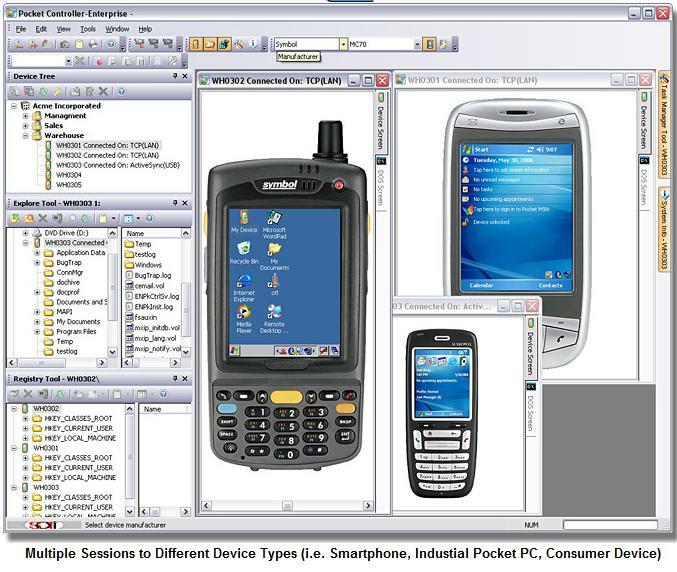 Pocket Controller Pro from Soti allows us to see your mobile device screen from our office over the internet. Of course if your device is broken we can't help you. This support is ideal for devices that are still working but the user has some issue or problem that our guidance over the phone can assist with. Before calling for help, download and install Pocket Controller Pro on your mobile device. For small installations of only one or two devices Pocket Controller Pro is all you need. If you have 5 or more mobile computers you should invest in Pocket Controller Enterprise version. For now you can use the free trial version which lasts for 5 days. After that time you will need to purchase a license. Now, click on the button below and follow the instructions.